Looking for kid-friendly podcasts? 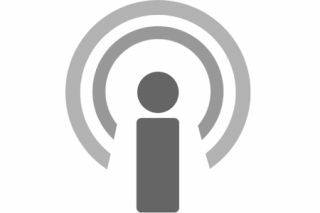 Podcasts are a fantastic way for learners of all ages to explore new topics. As adults, we might listen to a podcast as part of your daily commute or workout routine, but these audio clips can also inspire young learners. Podcasts are audio (and sometimes video) recordings similar to a radio broadcast or television episode. They might include a discussion on a topic, an interview with a notable person, or coverage of a special event. Although most popular podcasts can be accessed from the iTunes store on an iPhone, iPad or computer, many podcasts can be streamed from a web browser to play on any device connected to the Internet. Most podcasts can also be downloaded so users can listen to them offline – perfect for low or no internet classrooms. If you’re looking to set up listening stations in your classroom or simply want to share a list of favorites with families, here are a few podcasts worth checking out. This podcast features a new read aloud story each week with an archive of dozens to explore. You’ll find classics like Cinderella and Snow White in their list of most recent recordings. The Sparkle Stories podcast features original stories that are shared weekly. This relatively new podcast has seven stories on their list so far. From Halloween tales to Jack and the Beanstalk, the Stories Podcast shares familiar and new tales with kids. It’s a great choice for introducing students to classic stories like Hansel and Gretel. Do you have a favorite kid-friendly podcast? Share it in the comments below!